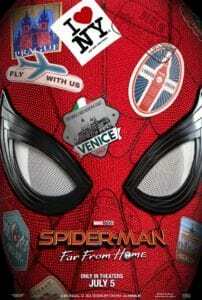 Spider-Man: Far From Home Trailer Debuts | Nerd Much? After some fun banter back and forth with fans, Tom Holland came through. Marvel’s Peter Parker/Spider-Man took it upon himself to get the Spider-Man: Far From Home trailer debuted to the world, giving us our first look at the Marvel Cinematic Universe’s Phase 4. The Spider-Man: Far From Home trailer sounds as though it’s pretty similar to the version that premiered during Brazil Comic-Con just about a month ago. The footage begins with Aunt May introducing Spider-Man and thanking him for his service. She then greets Peter, still in his suit, backstage and gives him a high five for a job well done. Happy Hogan then enters and things get awkward as it’s hinted at that there may be some sort of romantic relationship between the two going on without Pete’s knowledge. There’s then a quick montage of Peter packing for a school trip to Europe. May reminds him to grab his suit, but he declines. “I just want to go on my trip,” Peter says. “Europe doesn’t really need a friendly neighborhood Spider-Man.” It sounds as though the young man is desperate for some time off following whatever transpires within Avengers: Endgame. We then see Peter in Europe hanging with his crew of school friends from Homecoming, with a blooming relationship on display between him and MJ. Peter is later talking to Ned in his room about it when Nick Fury emerges from the shadows and tranquilizes Ned with a dart to the neck. “So nice to finally meet you, Spider-Man” he says to Pete. Peter immediately knows who he’s speaking with. Shortly after this, we see the surprise villains of the film, the Elementals, including Hellfire, Hydron, and Magnum. 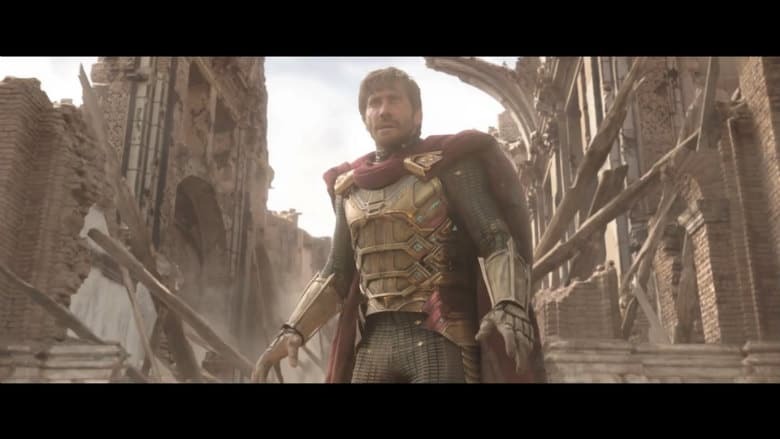 Spider-Man appears to be outmatched at one point, so enter Jake Gyllenhaal’s Mysterio to save the day. The character seems quite powerful, but he’s often known for his illusions – and not for being a hero. We can all guess how that dynamic will play out.